Home / Trending / world / Nakaipon ang OFW na ito ng PHP 140,000 matapos mag Ipon Challenge sa Loob Lamang ng Anim na Buwan! 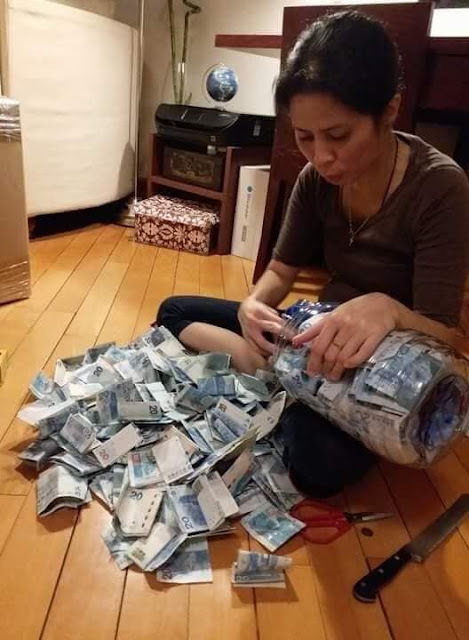 Nakaipon ang OFW na ito ng PHP 140,000 matapos mag Ipon Challenge sa Loob Lamang ng Anim na Buwan! In this day and age, it's important to save money for emergency purposes. We are taught tio be frugal in handling our expenses simply because we can never tell what will happen. The good thing is, there's a trending challenge that's making rounds on social media that promotes saving: the Ipon Challenge. And there are results! Just like this OFW from Hong Kong. 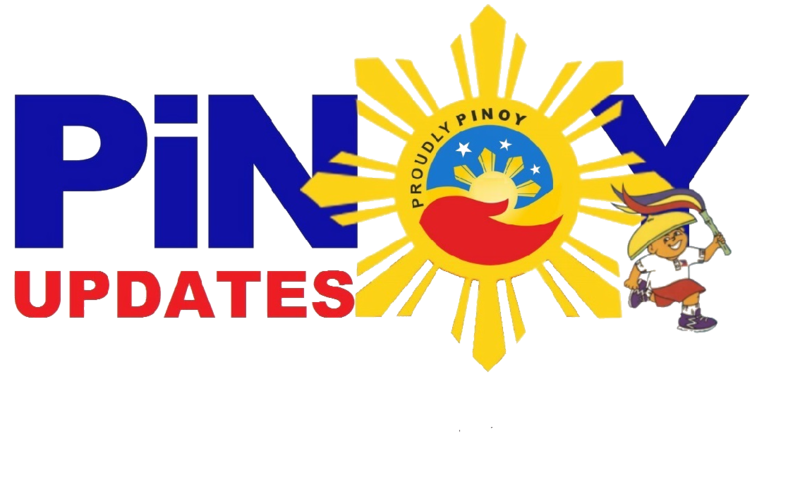 Jalyn Navio is a 39-year-old Ilongga OFW working in Hong Komng. She is a nursing graduate who attended a Financial Literacy Seminar of CARD Hong Kong Foundation and was up for the challenge of saving money. She started working in Hong Kong in 2002. Her lifestyle was a bit drastic: an overspender who likes to splurge on shopping and treating her friends. But the ipon challenge forced her to change her habits. Lo and behold! 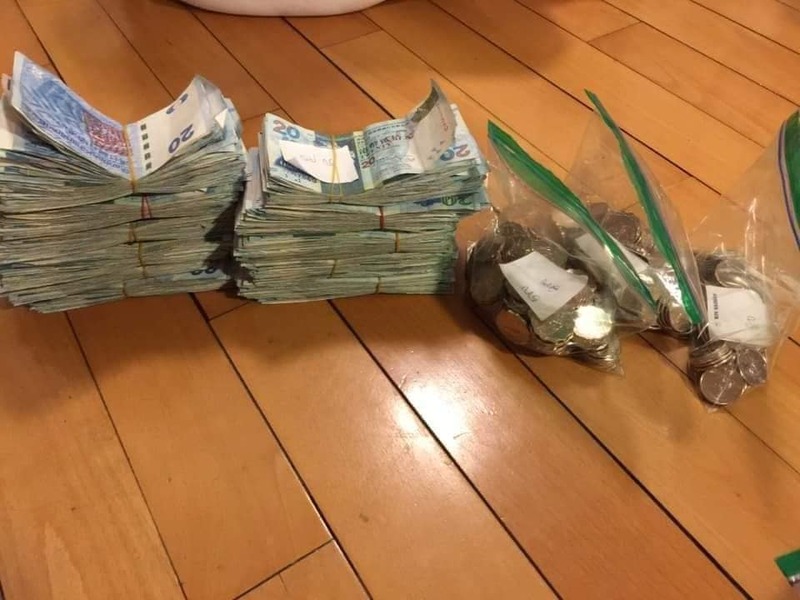 After only 6 months she was able to save HKD21,760 or PHP 140,000! 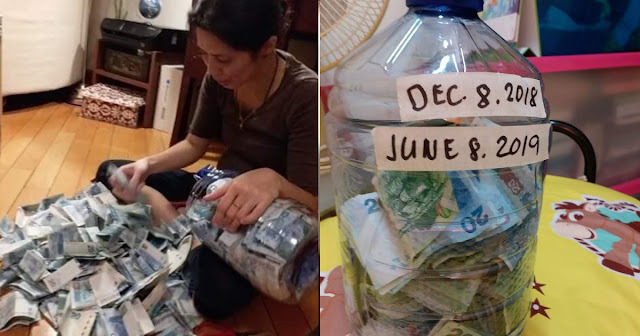 She used a big plastic bottle to put her savings inside. Her friend Jennifer Palomo Debaja shared her experience on Facebook. 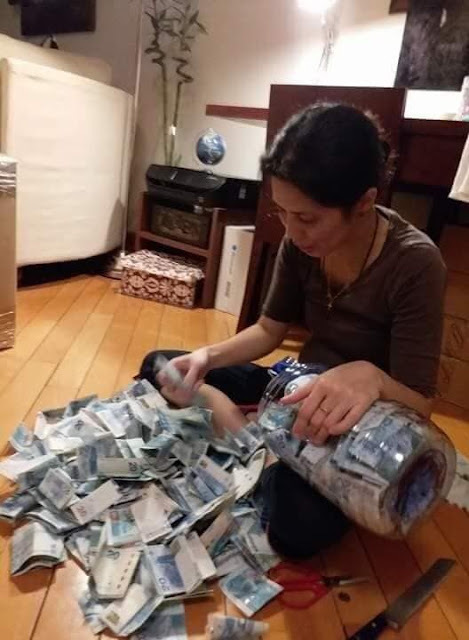 Jalyn receives HKD8,200 or PHP54,000 as her monthly compensation. 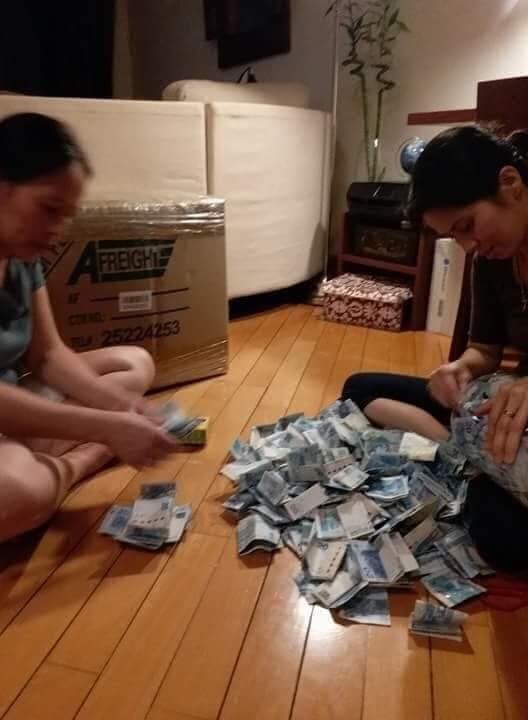 She sends PHP10,000 to her relatives for educational allowance. Jalyn was very happy to be able to keep the challenge going. She said that she will continue to save not only HKD20 but up to HKD50! Keep up the good work, girl!